Apparently I missed a great heat wave, my plants look terrible and everyone is feeling exhausted. I just returned from my South Africa Krav Maga seminar tour and the heat here has been severe. Such is life, we still thank God everyday for our great country and our freedom. But the heat hits hard. This morning I woke up, opened the windows and doors and a soft sweet delicate breeze entered my home. I felt renewed. Renewed as our nation is renewed. Though times come and go, such is life. Every nation and every individual has his tough times. They say tough times never last but tough people do. In that case we must be a very tough people to have lasted this long. But as the soft sweet breeze hit me a thought entered my mind; The after! Everyone complains during the heat wave, everyone seeks relief and shelter but like the money who complains in the rain we do not build shelter afterwards. Tragedy hits, we feel terrible for a few hours, and then we move on as if nothing happened. We leave it to the professionals to deal with crime, war, home invasions. We quickly return to our daily normal lives. It still boggles me that after all our people have been through their are still Jewish communities living abroad and oblivious to the dangers. For me the turning point came at a very early age, the formative years of first grade through seventh, when my fate became inextricably tied with my people and our land. The images of the Holocaust, the stories from survivors, the nightmares and the dreams lead me to where I am today and who I am today. The phrase Never Again became our slogan, and as Rabbi Kahane explained it did not mean never again would there be a war against the Jews but never again would we be unprepared. But yet as the soft sweet breeze enters our home and our hearts after an oppressive heat...we forget. We forget and we return to normal daily life. But not everyone forgets. During our Tour and Train counter terrorism training our instructors constantly bring up the past, the Holocaust, the Shoah. 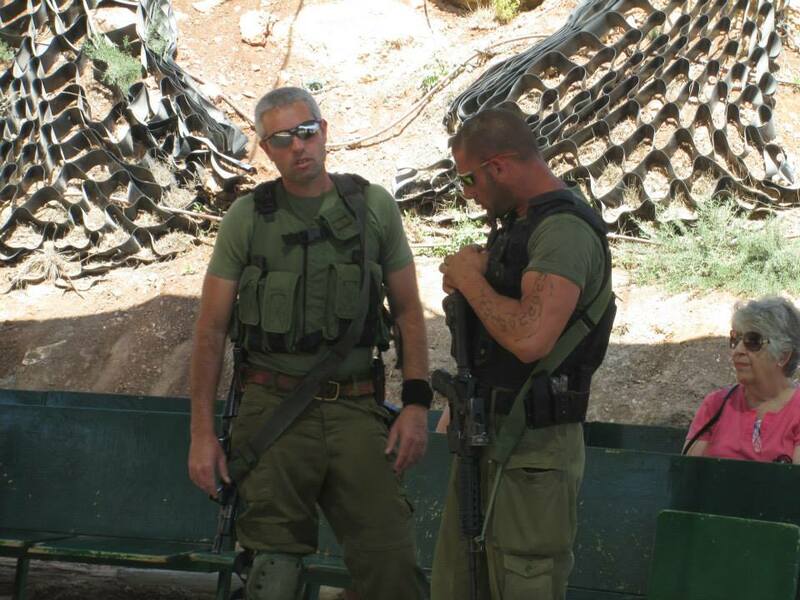 These Israeli born battle hardened warriors still think back, daily, hourly, on our horrific past. As each group concludes their training our instructors talk about "what happened" and how "as long as I stand guard it will not happen again, you are safe." We do not let the quiet times erase our memories. When the hard times are over we do not go play like carefree monkeys in the sun, we build, we plan, we train. We make sure "it" doesn't happen again, not on our watch. And we train the next generation to think the same way. Two of our top counter terror instructors. An older woman symbolizes our history, and those we need to protect. A soft delicate breezes touches our cheeks and reminds us of all the goodness in this world, it reminds us that after the heatwave there is that pleasant breeze. After the storm comes the calm. But we must not let it fool us, we must not forget that there is work to be done. We must not forget that we must prepare. We have learned from our past. We have learned to be prepared and now we are ready to share this knowledge and information with you. Come train with us in Israel, the land of the Bible and the modern state of Israel. 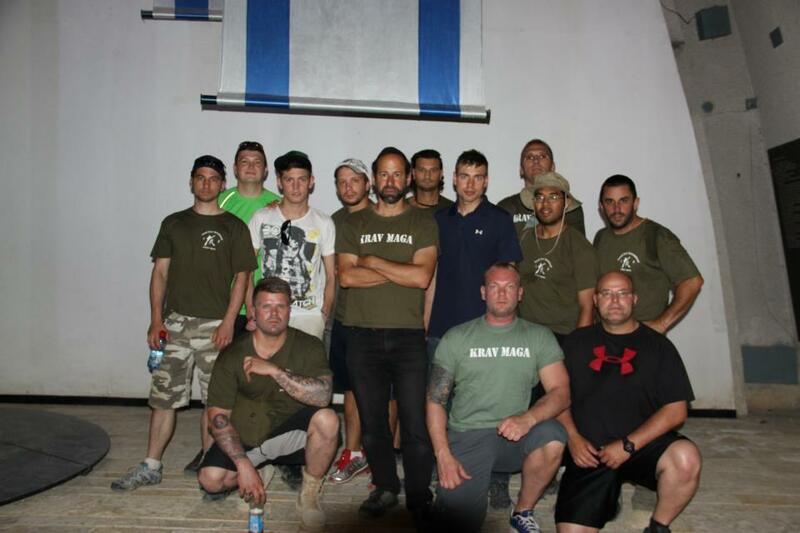 Learn all aspects of Israeli Krav Maga while touring sites of religious, military and historical importance. All levels welcome, from beginners to master instructors. Paying our respects to the fallen at Ammunition Hill, the Battle for Jerusalem.